The desire to predict discoveries, to have some idea, in advance, of what will be discovered, by whom, when, and where, pervades nearly all aspects of modern science, from individual scientists to publishers, from funding agencies to hiring committees. In this talk, I will present a simple conceptual framework for thinking broadly about prediction in the context of the "science of science." Then, I will dive deep into results on the predictability of researcher productivity over an entire career. Over the past 60 years, research on this subject has repeatedly validated a canonical productivity pattern across fields, in which average productivity exhibits a rapid rise to an early peak followed by a long and gradual decline. Using comprehensive data on publication and employment histories for an entire academic field, we show that this pattern holds only for a minority of individual researchers, and that instead individual productivity profiles are highly variable, although some features do correlate with certain covariates. We close with a forward-looking perspective on the implication of these results for the broader goals of the science of science, and describe a set of opportunities and risks for the science of science in the age of big data. This is joint work with Samuel F. Way, Allison C. Morgan, Roberta Sinatra and Daniel B. Larremore. 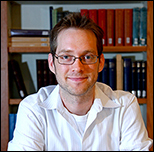 Aaron Clauset is an Assistant Professor in the Department of Computer Science and the BioFrontiers Institute at the University of Colorado Boulder, and is External Faculty at the Santa Fe Institute. He received a PhD in Computer Science, with distinction, from the University of New Mexico, a BS in Physics, with honors, from Haverford College, and was an Omidyar Fellow at the prestigious Santa Fe Institute. Clauset is an internationally recognized expert on network science, data science, and machine learning for complex systems. His work has appeared in many prestigious scientific venues, including Nature, Science, PNAS, JACM, WWW, ICWSM, STOC, SIAM Review, and Physical Review Letters. His work has also been covered in the popular press by the Wall Street Journal, The Economist, Discover Magazine, New Scientist, Wired, Miller-McCune, the Boston Globe and The Guardian.